Looking for a professional Galveston Lice Removal & Lice Treatment Clinic? Call The Lice Place today. We are the leading lice removal franchise in Texas. With our highest publicized success rate and the most effective treatment method, we are the most trusted company in Texas. Along with providing clinical treatment services, we also offer a variety of lice treatment products that help prevent future lice infestations. In addition, The Lice Place also offers its clients professional counseling and guidance on lice preventive measures. We are an all in one service provider in the area. Being an NALTP certified member and a company that is owned and operated by a registered nurse we take pride in offering honest and upfront services. With our highest professional standards and pro-customer policy, we are the most trusted lice removal company. The Lice Place has many years of experience in the industry. We offer only pesticide free and non-toxic treatment that is the safest way to eradicate the problem of head lice. Our expert technicians perform thorough head checks to ensure the existence and intensity of the infestation. You will also get free follow-ups and counseling both before and after the treatment. 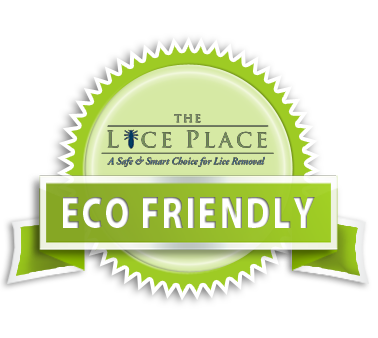 The Lice Place is your best chance to benefit from our expert and affordable services. Being the most reputable lice treatment clinic in the area, we follow specific guidelines and practices to protect our clients from any potential harm. Also, with us, you will always get discreet treatment. We understand your need of privacy and so offer private treatment rooms for all families that come for lice treatment. In addition, The Lice Place also conducts many educational presentations to make the communities aware of the lice detection, removal and prevention methods. We are here to help families stay lice free forever. Call this most experienced Galveston Lice Removal & Lice Treatment Clinic today to get your appointment scheduled. With our hands-on help and guidance, you can easily keep your family free of lice today and in the years to come.